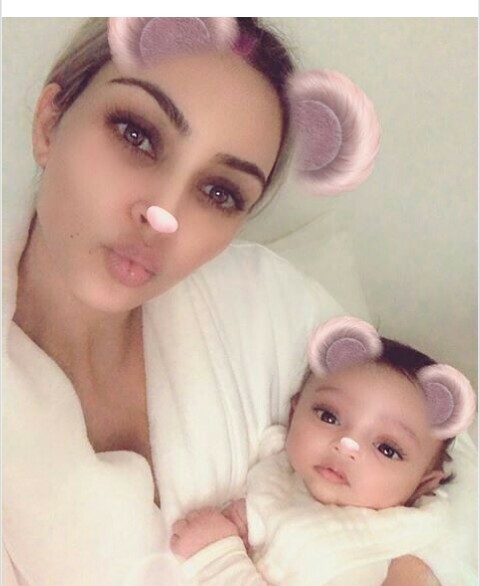 Here is the first official glimpse of Kim and husband Kanye West‘s third child, Chicago West who was born via surrogate on January 15. Chicago was earlier seen briefly in Kylie Jenner‘s 11-minute YouTube video that she shared earlier this month documenting her pregnancy. In the video, Kylie cradled her niece, who was swaddled in a baby blanket. 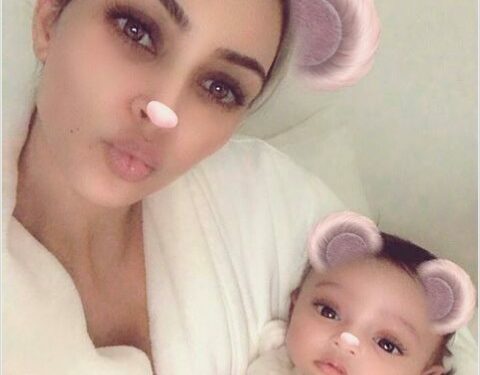 “She’s so little,” Jenner said in awe as Kim revealed that they were thinking of naming her after West’s hometown. Sources say the whole family is trying to bond with the baby, who is settling beautifully, sleeping a lot. The surrogate is said to live in the San Diego area of America. Stars who have recently given birth with aid of a surrogate partner include, Portugal and Real Madrid football star, Ronaldo.